Right here, I’m gonna show you one of my to-do-in-my-spare-time thing. 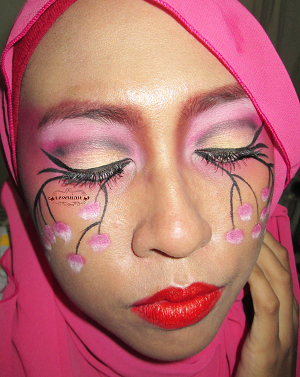 Actually, this look was intended to be submitted as one of my look to IBB Make Up Challenge last May 2014 in Japan theme but unfortunately, I wasn’t able to do the digital process of it. 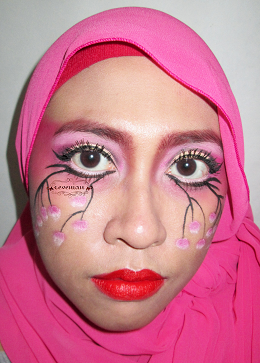 So here it is, the Geisha project. 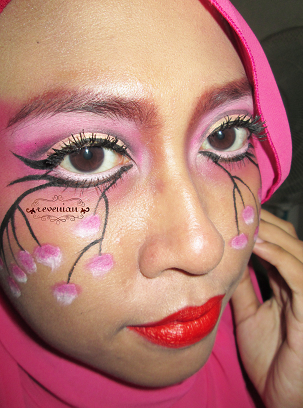 I know, maybe this look will not be as your expectation to what so-called Geisha look, but yeah, there’s nothing wrong in fantasy make up creation after all. 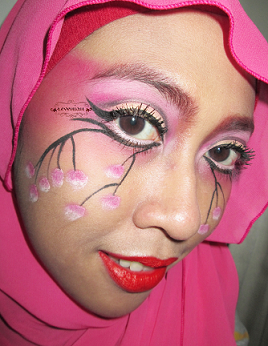 Hehe..
Well, along with the Geisha look, when I was trying to make it, I was thinking about putting cherry blossom paints as well. Thought it would be a different one, I made it downwards the cheeks. And here they are. I hope you enjoy the views and if you want me to do something like it in the future, I’m looking forward for your quest and comments below. Thanks for stooping by.